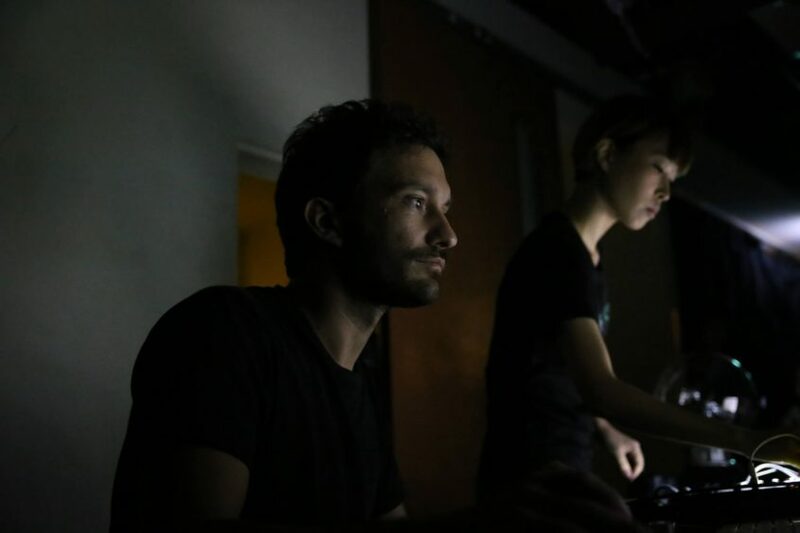 Sondes A/V Duo is a duo of artists from different horizons, sound artist Lu Yi (TW) and visual artist Sébastien Labrunie (FR). Sondes is a creative dialogue, a collaboration exploring image, sound and their echoes in sensitive creations. 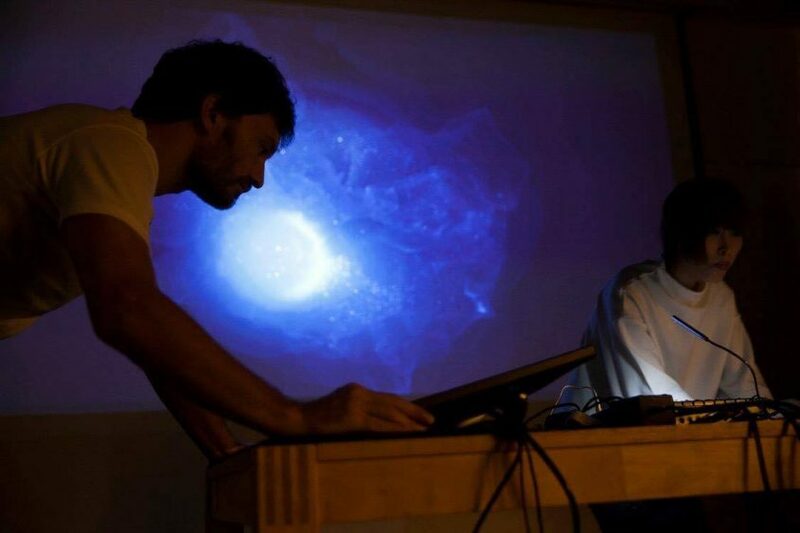 The duo draws as much in analog as in the New Media to achieve performances where the border between sound and image is blurred, to better give to see, hear and dream. 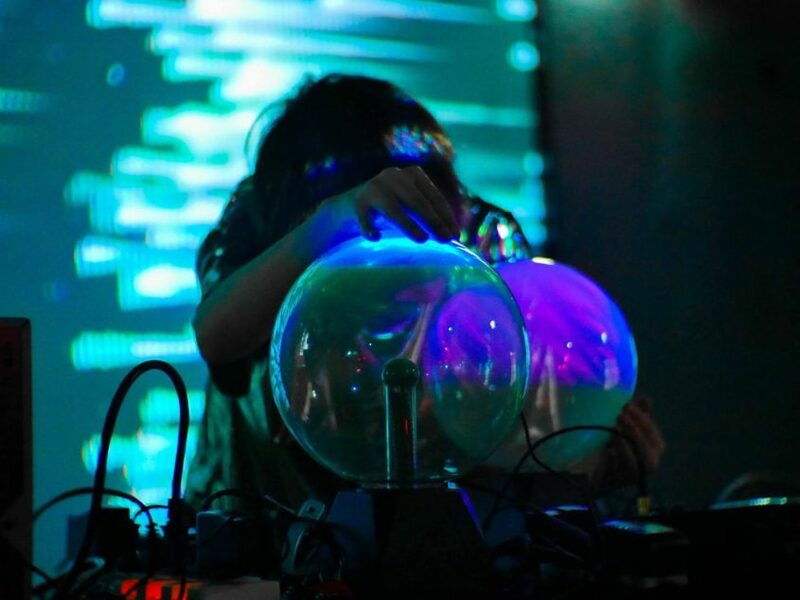 Sondes A/V Duo has participated in several events including: “Hypersonic 2016” (TNUA, Taipei), “Xue Xue Party Night” (Xue Xue Institute, Taipei), Lacking Sound Festival “Listen 103” (The Wall, Taipei) “, “The Book Of Daughters” (Venue, Taipei), “Generate the Night” (Taipei Artist Village), “Pattern Calling” (National Theater and Concert Hall, Taipei) and “Electric Indigo” (Chiang Kai-shek Memorial Hall, Taipei). 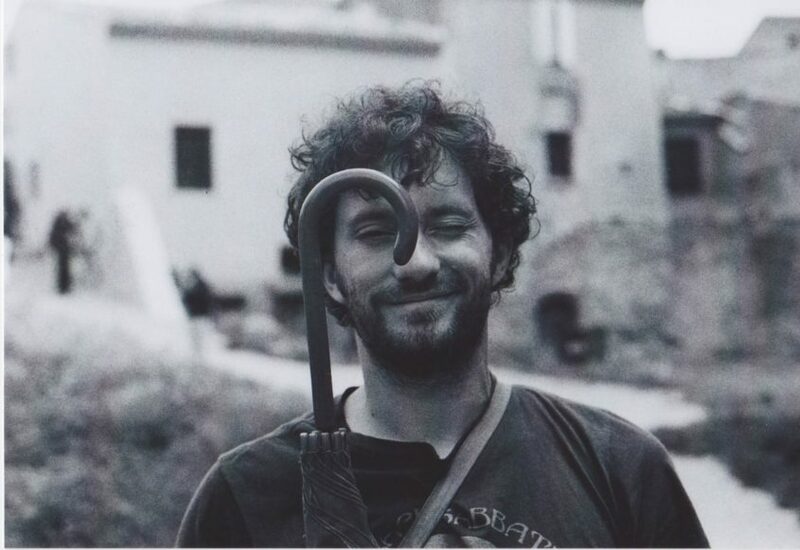 Sébastien Labrunie is a french visual artist. 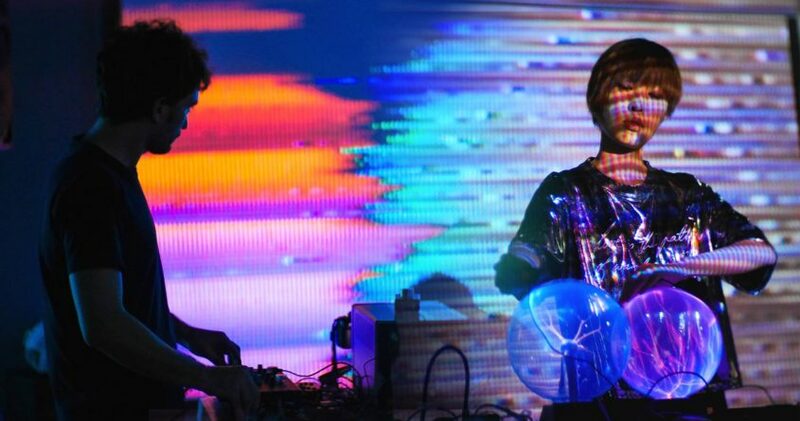 After 10 years exploring 2D worlds as a graphic designer in France he is now experimenting in the New Medias field: virtual reality, interactive design, realtime visuals performance, analog video synthesis with a touch of glitch art. 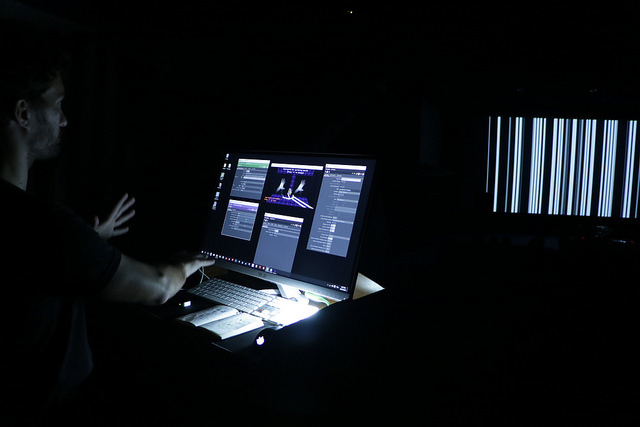 In the past years his explorations brought him to work on various VR projects, like the award winning LyraVR (a virtual/spatial music creation software) or “Murmur” an experimental immersive narrative about language and perception in the making (shown in the ​alpha version at Paraty Animation Festival in Brazil September​ 2018). He is also doing live visual creations for Avant Garde sound art performances collaborating with sound artist Lu Yi as the Audio Visual Duo “Sondes”, a dialog between two artists, two cultures, between sound and visuals, at both ends of the visual spectrum and in between, both cutting edge digital and organic analog, one world feeding the other for deeper audiovisual explorations. 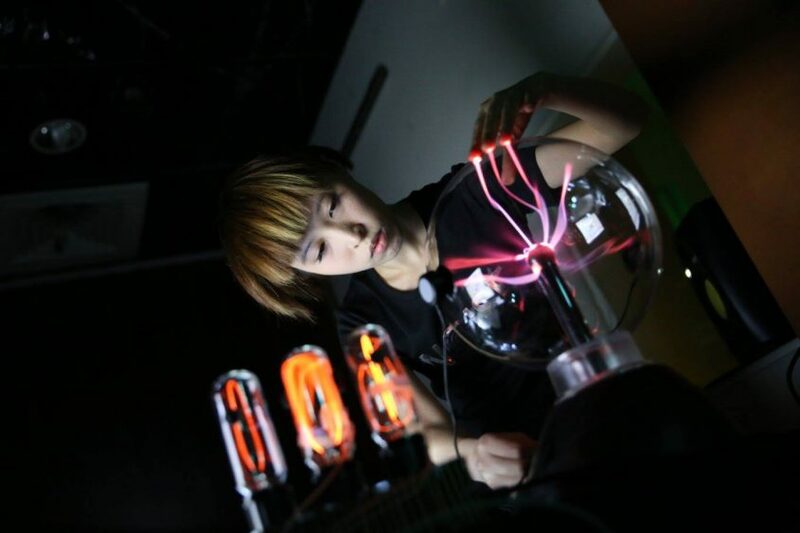 Lu Yi is a cofounder of Soundwatch Studio, collaborator to Fujui Wang, and a sound artist at Sondes. 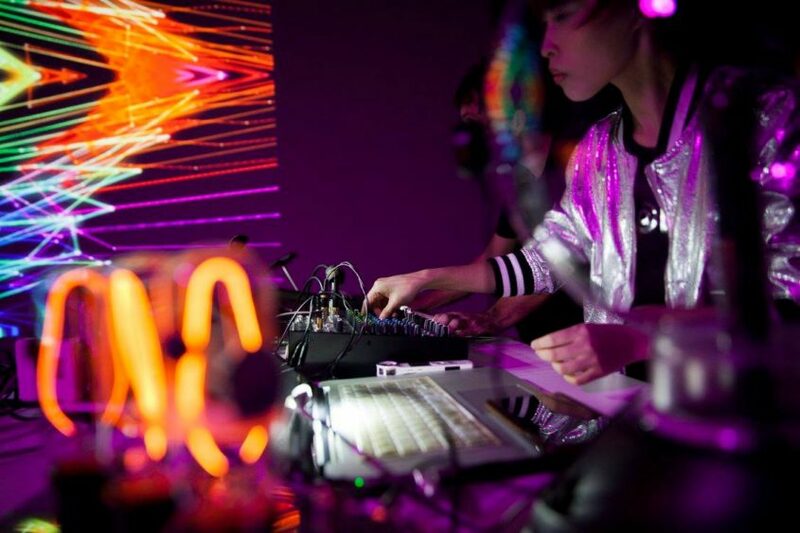 Lu Yi has appeared solo at the “Digitopia Digital Art Festival Taipei 2015”, using electromagnetic waves, home-made electronic instruments, circuit bending, hardware hackers, and analog errors to create immersive sonic environments. 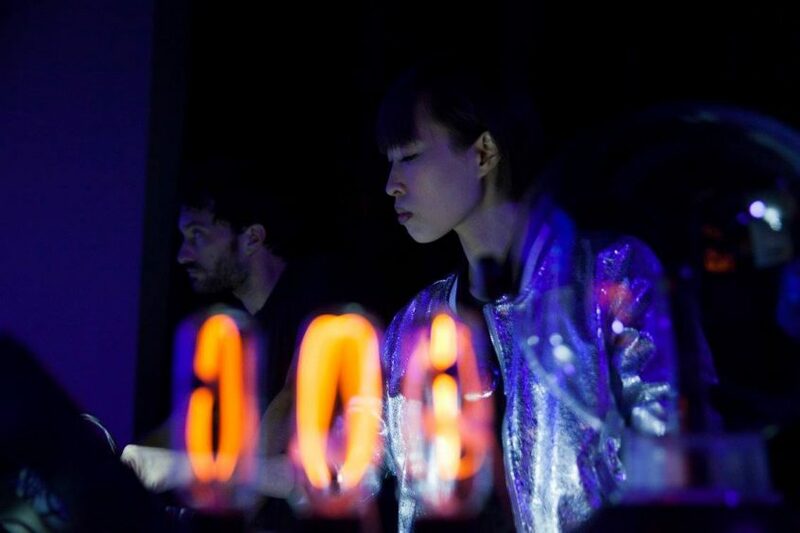 From 2015-2019, Lu Yi has collaborated with french visual artist Sébastien Labrunie to do many live performances, as a name “Sondes”, a mix of cultural performing simultaneously providing noise sound with home-made electronic instruments and real-time interactive visuals, presented in “Lacking Sound Fest.103”, “Taipei Art District Party Night 2017”, “The Book of Daughters”, “On SiteGenerative the night”, “Pattern Calling” and “Electric Indigo” party night on NTCH 2017”. 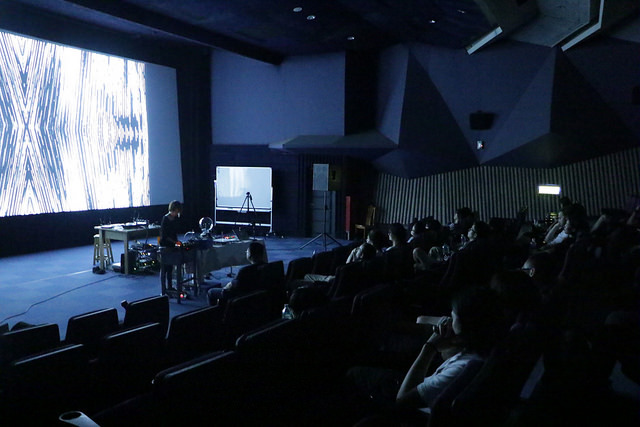 Soundwatch Studio promotes the creation, exhibition, performance and workshop of innovative and experimental audio art both locally and internationally. 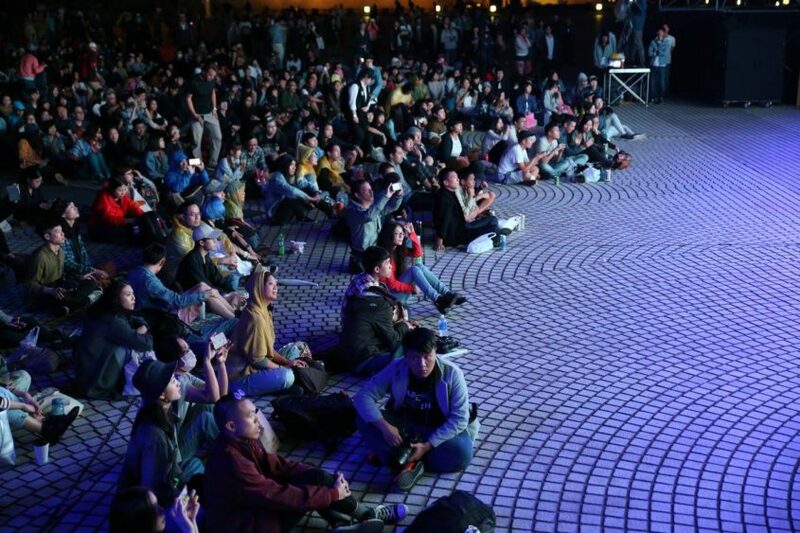 The studio long-term endeavor took Taiwan’s Sound Art to a wider and more eminent status, bringing more and more people to come and discover this particular art form. 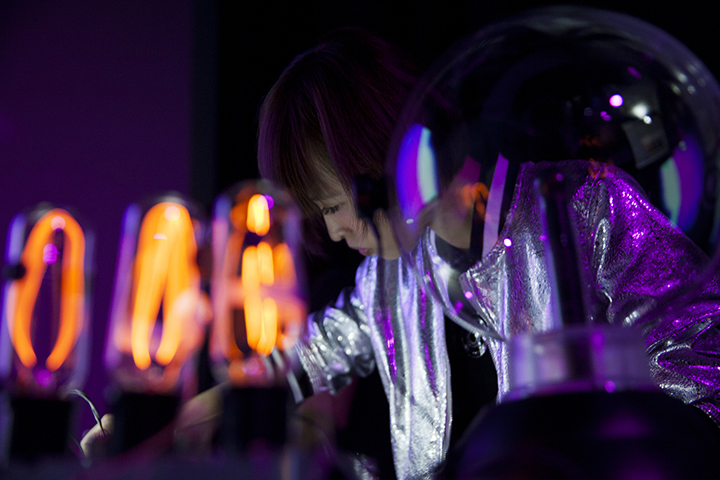 Today, the studio has become a drive of influence while playing a key role in the Sound Art of Taiwan. The first collaboration between Sébastien and Yi Lu. 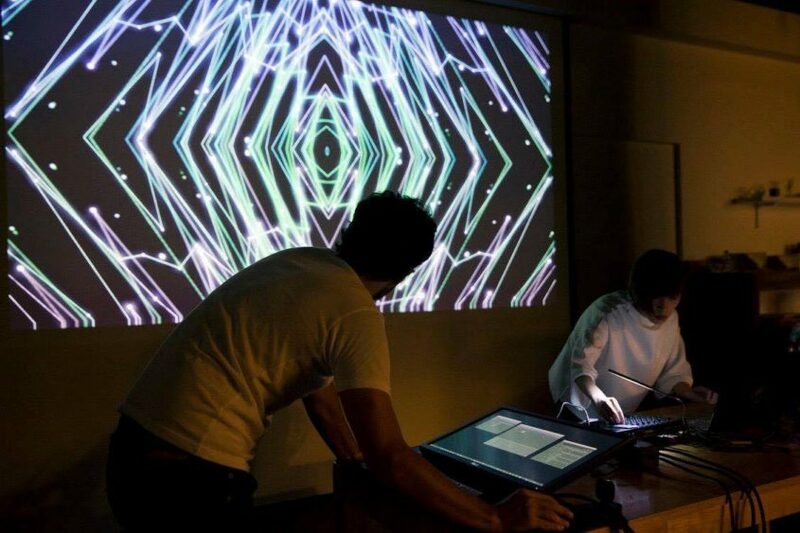 Melted black and white leap motion controlled graphics and noise for a live creation performance at Hypersonic 2016 event in Taipei. 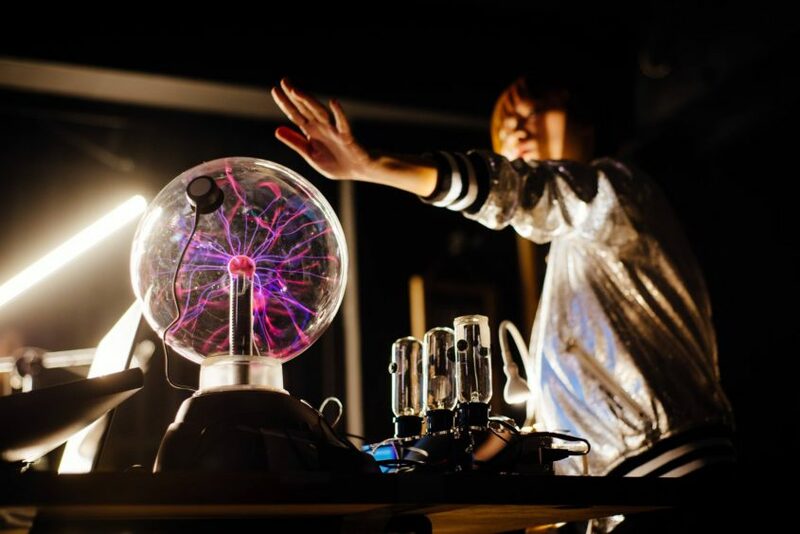 Raw composed sounds merging with glitch white light insensitive patterns as the human “filters” transform the materials with their hands instinctively using a Tesla coil, home-made electronic instruments, and a motion controller, modifying both the sound and light in sync. 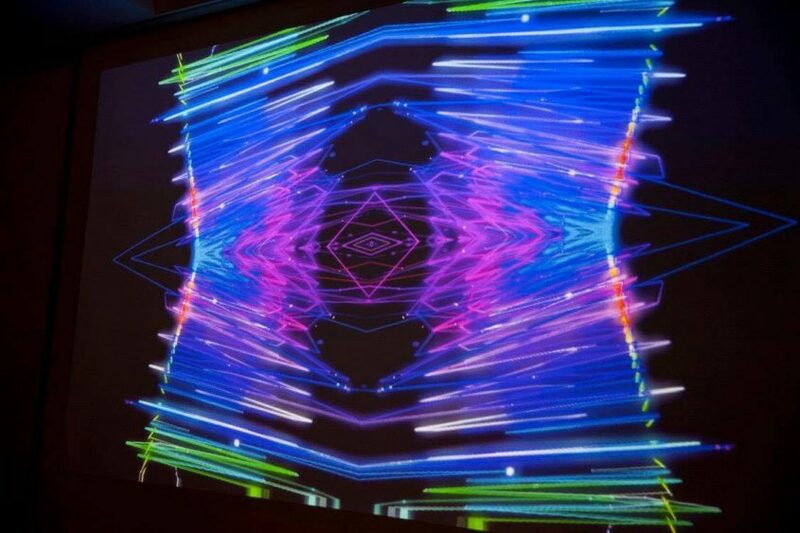 Creating a living live abstract audio/visual experience. ​​Sébastien Labrunie: ​I worked with visuals and pictures for a long time. 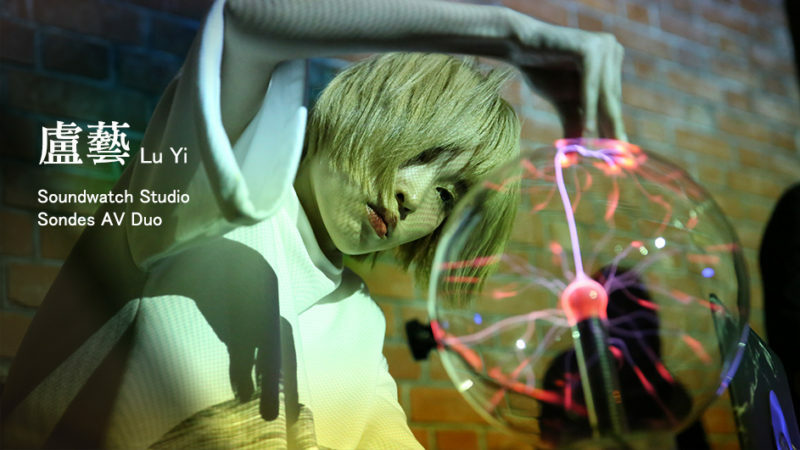 One thing is I only worked with “static” 2D visuals, and new technologies I​ discovered entering the VR world last year open my mind to a whole new kind of visuals, immersive​, tridimensional, in motion, and they could also be synchronized with body movements using motion controllers. I used a Leap Motion in “Sondes” to control and bring life to my 2D visuals, they become more sensitive, more instinctive, and well, more alive! New tools that offer​ me a whole new playground for doing live visual creations. New tools and endless possibilities! ​​Sébastien Labrunie:​ The raw sound of you inspired me pictural simplicity and contrast. That’s why I​ chose black and white graphical elements, like a ​raw light in the ​darkness. I also wanted these electric light elements​ to become more “organic”, that’s why I​ used symmetry. Symmetry is all around us, even inside us, many things come in pair of two, eyes, ears, black and white, light and darkness. And for this performance it was a duo teamwork​ too. I got some interesting feedback on “Sondes” visuals, some people saw faces and masks hidden in the abstract lines. It’s one of the main purpose of abstract visuals, so people can project themselves inside the pictures generated​ and let their imagination flows. 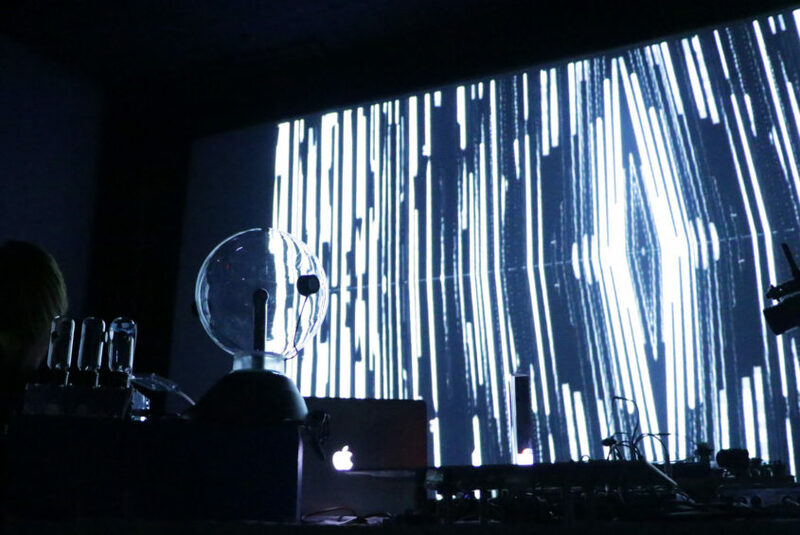 Sébastien Labrunie : I think “Sondes” is a sound and visual experience more than a performance, like an abstract storytelling​. Everyone could see and ear a different one, depending on their individual perception. Their imagination can jump from a sound painting to another and shape different new feelings each time. 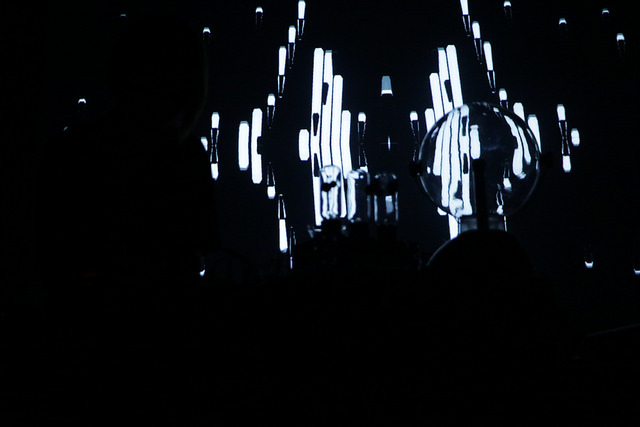 Sébastien Labrunie : The most interesting thing is the live teamwork between sound and light to me. 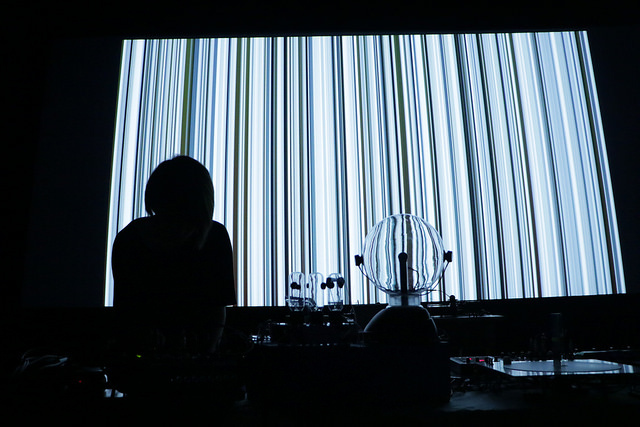 The interactions and echoes from sound to visuals and from visuals to sound. Like a creative dialog. The most challenging part might be the technical part, making everything work on the ​software side, setting up the stage in the best way possible working with technical limitation and strength of each spaces. I always remind me to keep it simple, adaptation is the key! 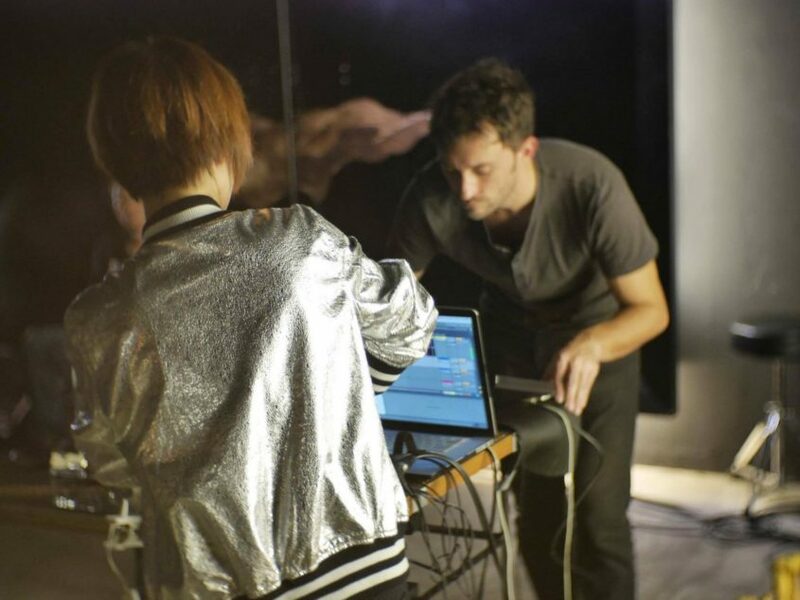 《Sondes AV Duo》is an Audio/Visual duo, a creative dialog between two artists from different cultures collaborating and exploring to create live sensory experiences. This duality is part of the creative process, a mix between the analog world and the digital realms. 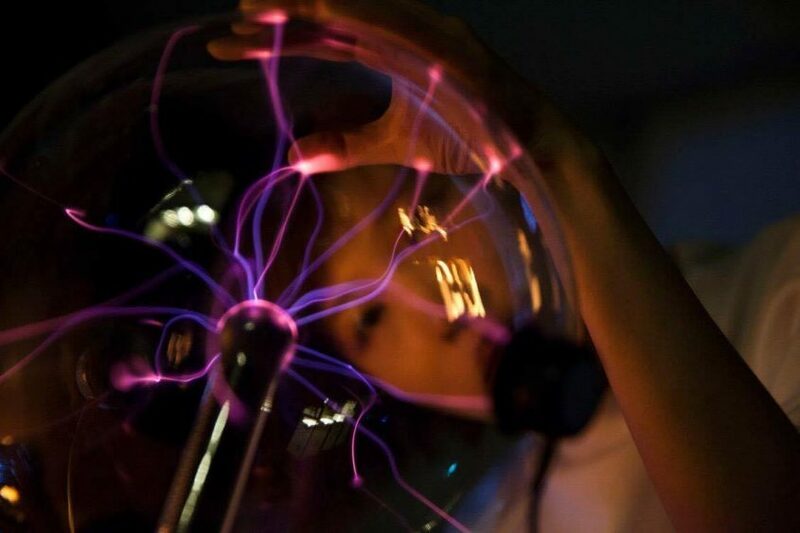 Tesla coils, home made sound generative electronics feeding analogue video synths and real time visual processing softwares. 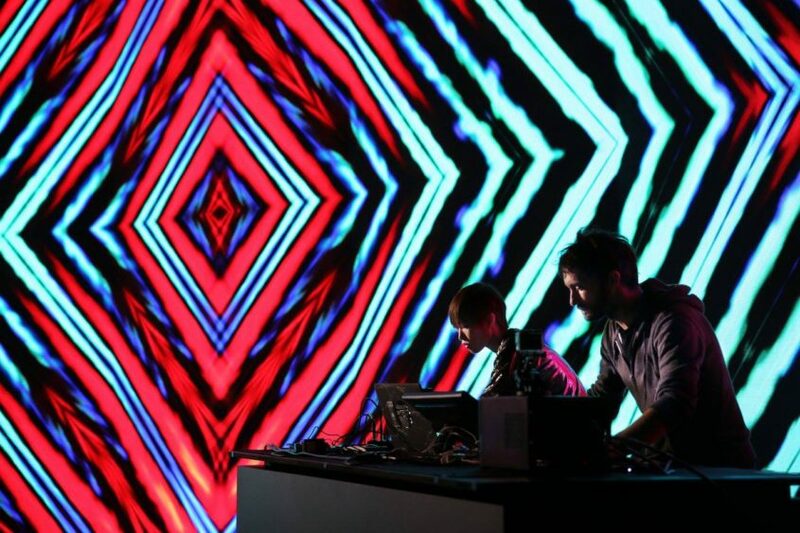 Creating audio reactive analog glitch accidents, guiding them digitally to sculpt and bring to life live Audio/Visual structures. 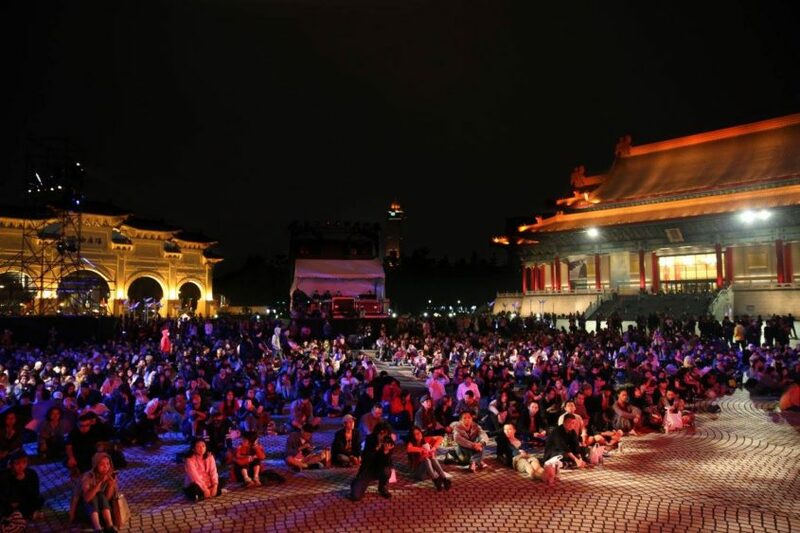 Its name reflects a state of mind and a desire to propose new sound and visual experience. 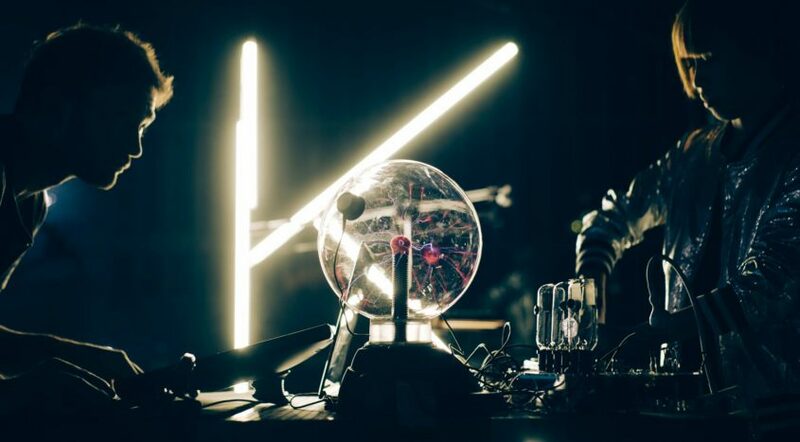 Sondes is consistently making merged analog and digital audio reactive glitch visuals, using software, video synth and an old CRT TV, home-made electronic sound, electromagnetic tesla coil and noise. 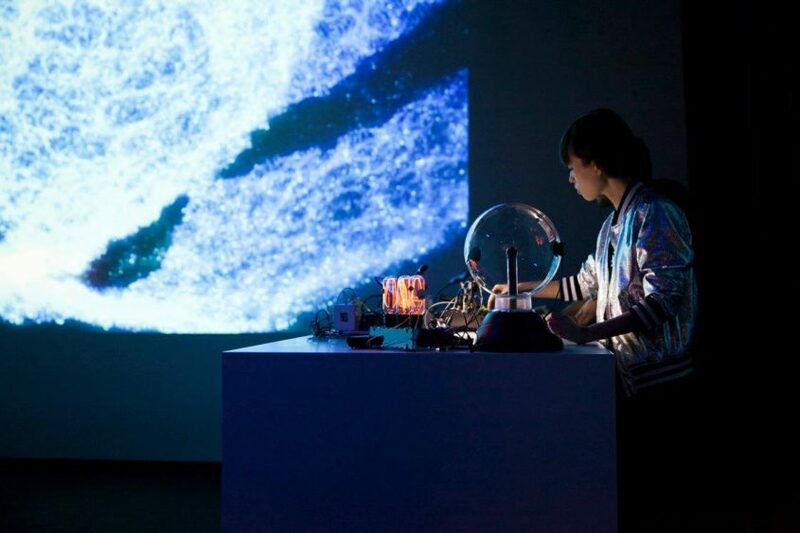 Sondes wants to create a living visual abstract sound experience with both input and output, absorbing live stimulus and transforming the space into a living organism.